Our man on the Golden Lane Estate, Billy Mann, explains why the search for good news has been a tough task this month, with sore points aplenty locally. The search for good news this month has been tough. There was a fantastic performance by Whitecross Street comedy duo Rachael Spence and Lisa Hammond (aka, Bunny) at the Globe’s Sam Wanamaker Playhouse, in which they tackled the Faustian question: “What price your soul?” with the answer: “We’re not sure we’ve actually got any souls to sell,” and went on to make fast and loose with the words “our souls”. It was hilarious. I got a tip-off on the whereabouts of the estate’s missing-presumed-stolen plastic heron, but my lips (beak?) are sealed… for the time being. There was a fascinating revelation at the community centre’s weekly techno clinic (Wednesday, 2pm-4pm) on how to fix a busted TV remote (not working, even with new batteries). The solution, apparently, is to remove the batteries, press and hold every single button for three seconds, replace batteries, and hey presto! But behind all of these gentle stories was the heavy hand of discontent. It was even a struggle to find the right description: is it a Catalogue of Complaints or a Richter Scale of Rage? First up are reports from Hatfield and Basterfield House residents of scary vibrations from the nearby building development of the former Richard Cloudesley site. Shattered ornaments and spidery cracks in the plaster top the list of woe. The City Corporation’s attempts at colour matching paintwork after their recent concrete repairs have not gone down well, either. A group of Bowater House residents are hacked off that the area around the fishpond they overlook is being used by non-residents to eat their packed lunches, smoke cigarettes and fill the bins. On the face of it this sounds like a petty whinge, but who’s footing the bill, residents ask, and where do the boundaries between public and private lie? 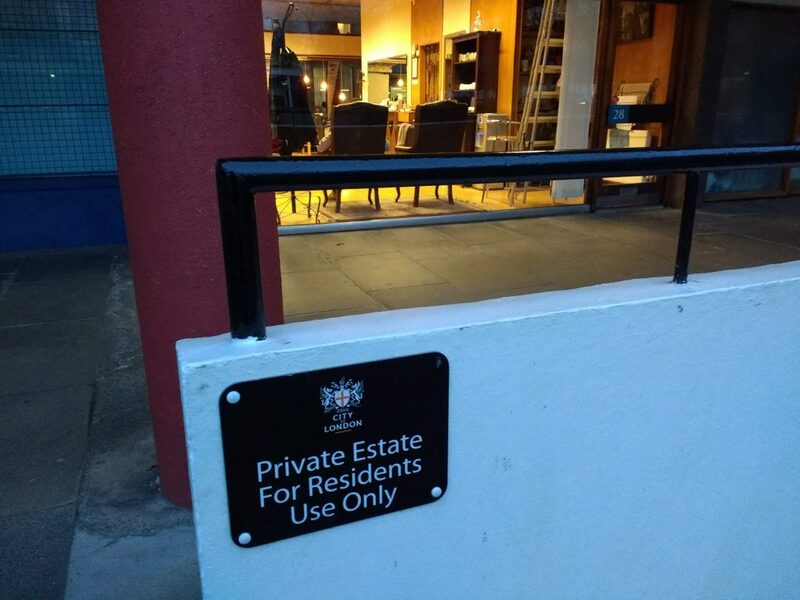 Technically, the whole estate is private. Residents pay for its upkeep through their rents and service charges, yet the City Corporation treats it as a public space. That’s understandable. The estate is open, welcoming and attractive. But, residents argue that public use should be paid for from public funds. Another Bowater House issue is the proposed installation of a cluster of mobile phone masts on its flat roof. In their objection, residents have been joined by an unlikely ally, Taylor Wimpey, the construction firm building the controversial Denizen block of luxury apartments across Fann Street on the site of the former Bernard Morgan House. They are livid that an eyesore and potential health hazard so close to their prized asset might deter would-be buyers from paying top whack for their shiny new City dwellings. 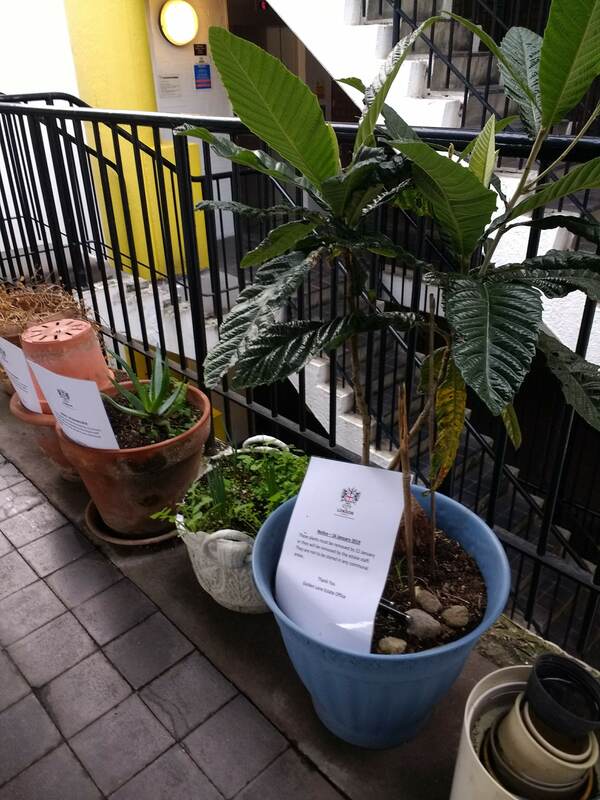 Residents in Stanley Cohen and Crescent House woke up recently to find zero-tolerance notices attached to the plants they keep in the large open communal areas around staircases. This issue has been a running sore spot since the Grenfell Tower fire, and few would argue that safe evacuation in the event of an emergency is paramount. But some residents feel bullied because the strict no-plants policy seems both out of proportion and inconsistent in its policing, plus it is issued as an order to desist, with the words “or else” attached in a threatening manner. The final entry in the Catalogue of Complaints (this month) comes from young parents who discovered towards the end of last year that City Corporation funding towards nursery places for Golden Lane families at Prior Weston School’s Golden Lane Campus has been cut. This was a deal with Prior Weston’s owners, Islington Council, which I’m told was terminated without notice. The Corporation now advises Golden Lane families to use the facilities at John Cass Children’s Centre instead, a full mile across the City through some of London’s worst air-quality blackspots. This not only has all the hallmarks of thoughtless penny-pinching, it appears to contradict the City Corporation’s own stated wellbeing policy of supporting young parents. A report 12 months ago identified young parents as a group vulnerable to loneliness. Until recently, Golden Lane parents could meet at Prior Weston, swap stories, support each other and oversee quality pre-school development for their toddlers. In a last-ditch attempt to find something joyful to report, I crossed my fingers as the City Corporation planning committee met to decide the fate of the four healthy trees that sit on the border of the Golden Baggers allotment and the building site that is causing mini-earthquakes inside our flats. I hoped our council might actually stick to its previous pledge to save the trees, but no, a hooded axeman was spotted surveying the Richard Cloudesley site before the meeting had even finished.